After seeing a photo of CrowsToes Absolum - your potions master over on steffels blog, I made sure I snagged a bottle of this off Llarowe last time it was in stock. 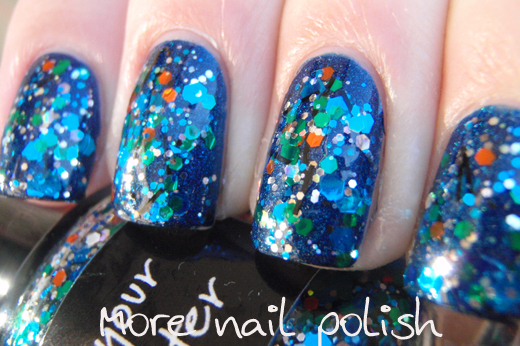 This is my first CrowsToes polish and I have to say this lady isn't stingy with the glitters, it was jam packed. 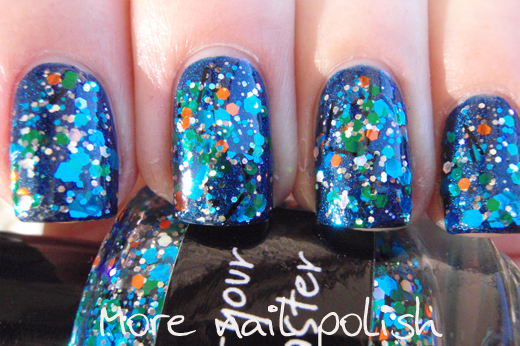 This did mean that the formula is quite thick, but I like thick glitters. 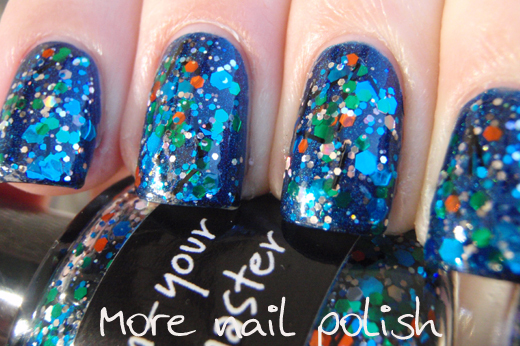 I really hate a runny glitter where you lift your brush out and the polish runs off with all the glitters. This was sticky and the brush was coated in glitter, which meant applying a single layer using the dabble method worked perfectly. Don't bother trying to brush this on because you will find the thick formula hard to work with (or if you want to brush it on, just add some thinner to your bottle). This is one coat of Absolum - your potions master layered over one coat of OPI DS Fantasy, all on a PVC glue peel off base coat. 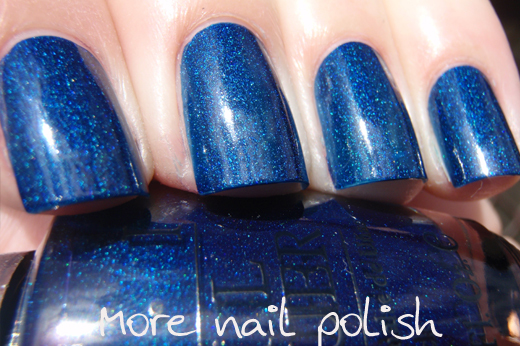 Here is OPI DS Fantasy on it's own. This is another polish that I picked up from the beauty supply store at the same time I got the OMG polishes. It's absolutley stunning and this is just one coat applied over PVC peel off base coat. I peeled this off in the shower and it took about two minutes to do. I was really easy to remove once you lift that first edge and it was actually rather fun to peel it off in an icky, pick at your scab kind of way! Here are my peeled off tips, of which there are only nine cause I lost one down the drain. What amazes me about the PVC peel off base coat is that it really sticks to the nail well. I thought cause it peeled off that it wouldn't last well, but as you can see in Alanna's wear test, it lasts just as good as any other base coat. It is so much easier to peel off in the shower, and I think I would always do it there, or at least after soaking my nails for a few minutes in water. I've used it for four glitter manis so far and I've noticed no adverse effects to my nail surface and my cuticles are loving not being soaked in acetone. Have you tried the PCV base coat yet? That peel-off thing sounds awesome! I have a clear I use for base coat under glitters that lets me peel them off just because it doesn't stick to my nails so well... but it doesn't have much durability either. Amazing mani as always, and your pictures are stunning!! Hmmpff.. do I like it or not? Well I think I do.. even I don't like all the confetti stuff. Wow. All that glitter looks pretty amazing! I never heard of the PVC base coat. 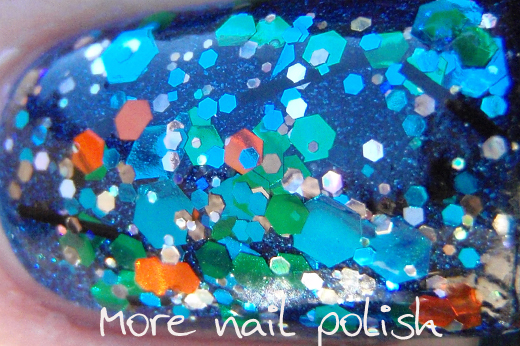 Something I need to look into since I love love glitter polish . 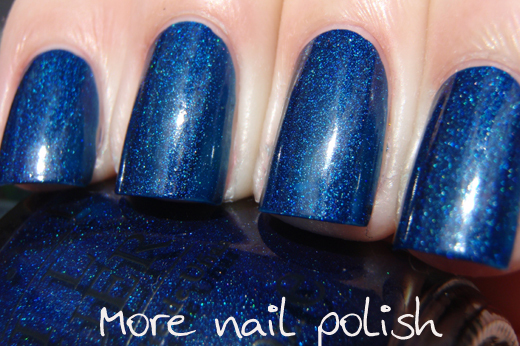 I've got to get this base coat! I'm so tired of the foil! 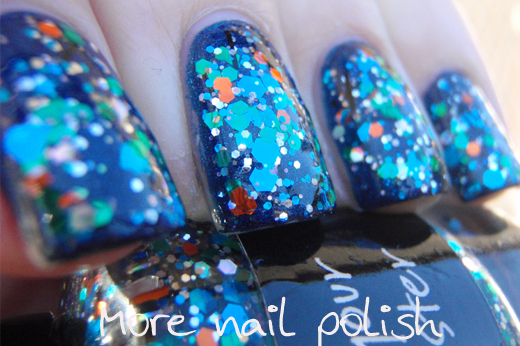 I wore this polish yesterday, and it's so fantastic. No digging for glitter is a big win! 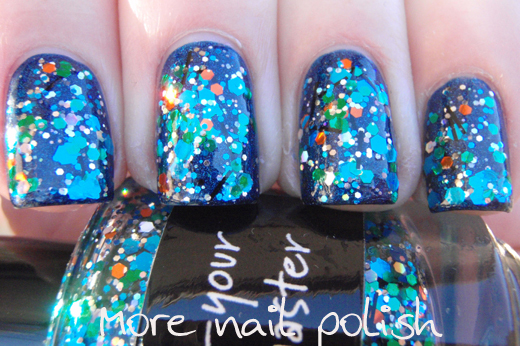 I'm wearing it right now with Nails Inc. Pudding Lane from the Sprinkles line. I'd been neglecting it all this time for fear of removal. Never again! The only problem now is I want ALL the glitters I never bought before. Nice mani!. I both tried the glue and the peel off base. Soaking works a bit better. I think it's THE best invention of this century (in polish). 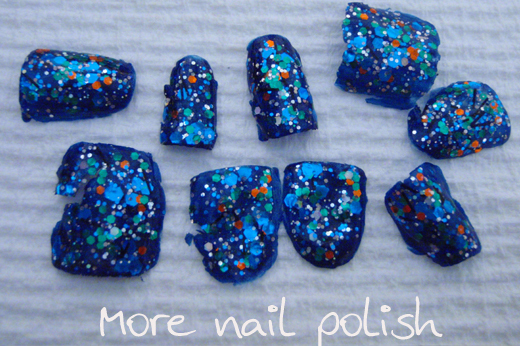 I want to try the base coat too - sick of going through gallons of remover when taking off glitter!!! 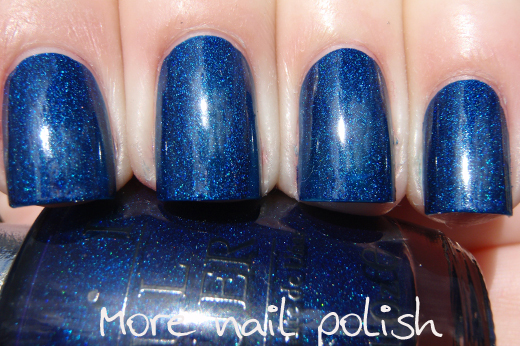 When I use Seche Ridge Filling Base Coat, a glitter polish, and any fast drying top coat, I can peel it off in the shower. It works best if I wrap my tips with each of the three as I go along. Love the combo of base and glitter!